Instacart - Get Involved. Make Friends. Enjoy Motherhood. Instacart is an on-demand grocery delivery service. Our customers order their favorite products from the stores they love and expect to have them delivered on-time and with the highest quality. 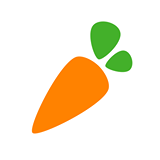 Instacart delivers from Whole Foods Market, Natural Grocers, Costco, King Soopers, and Petco within an hour. MOD Moms Discount: 30% off our annual Instacart Express membership of $149/year, bringing the amount down to $104.30. With Instacart Express, you get free delivery on 2 hour & scheduled grocery deliveries over $35. Copyright © 2014, MOD Moms of Denver North. All rights reserved.